November « 2017 « Chemline, Inc. Learn about two honorable mention recipients of the Climate Leadership Awards. For this year’s Climate Leadership Awards, USGBC and Second Nature received numerous applications from colleges and universities all making valiant strides toward sustainability in their classrooms and communities. Georgia Southern University, in Statesboro, Georgia, and Bristol Community College, in Fall River, Massachusetts, received honorable mentions as four- and two-year institutions, respectively. What sets Georgia Southern apart from other institutions are its efforts to empower students through sustainability initiatives. One such initiative is Georgia Southern’s Student Sustainability Fee Grant Program. More than $1.1 million has been allocated toward campus sustainability projects since the grant’s inception in 2014. This annual grant gives students the opportunity to lead personal sustainability projects with the guidance of faculty and staff. Past projects have ranged from LED lighting upgrades to solar-powered golf carts. Part of the guidance Georgia Southern provides comes from the requirement that every student take an environmental studies course before graduation. The university believes that this provides students with the critical thinking and empowerment needed to make a positive environmental change outside of the classroom. One example of hands-on, student-led programming is a solar energy project in which Georgia Southern students track data on solar radiation—data that is then used to influence solar initiatives in the community. Georgia Southern also collaborates with the city of Statesboro to bring treated wastewater to campus to reuse as irrigation. The only university in the state to irrigate with reuse water, Georgia Southern is known for its water conservation measures. This reuse system conserves as much as 200,000 gallons in a single hot day in the summer and allows for adaptation during periods of drought. Thousands of students at Georgia Southern also participate in environmental service learning projects, through which they’ve donated tens of thousands of hours of service to the environment in the local area. 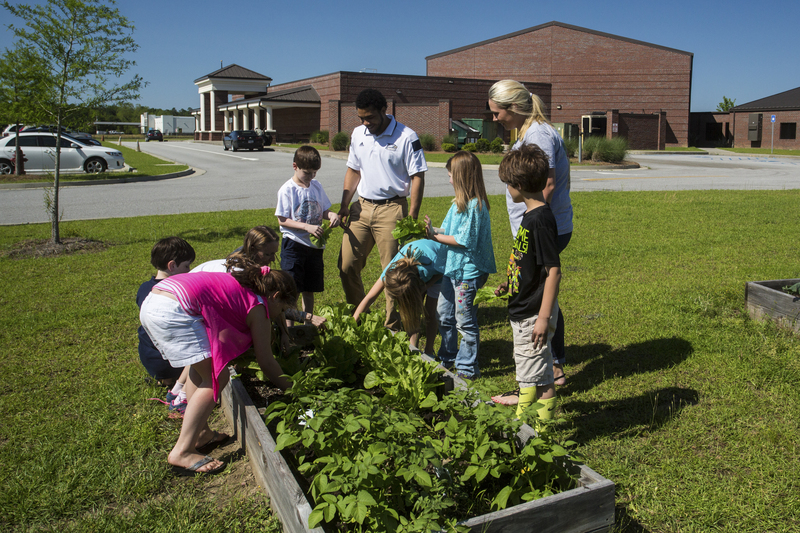 Georgia Southern believes that the combination of classroom learning and service experience will equip their students with the skills to implement sustainability strategies in the future. This push for sustainability education not only empowers students but helps the university save. Leege suggests that sustainability has tremendous economic value for their university. USGBC and Second Nature also recognized Bristol Community College (BCC) for its dedication to combating climate change on the campus level and instilling a firm sense of stewardship among its students. Similar to Georgia Southern, BCC prioritizes education in sustainability as a tool for positive environmental change. Recently, BCC implemented a Sustainability Studies program that allows for either a liberal arts degree or a certificate in sustainability. Joyce Brennan, Vice President of the College of Communications at BCC, says this program offers an entry into the societal challenges and opportunities offered by climate change, resource consumption, and energy use. BCC believes that an education incorporating social science-based sustainability best prepares students for the ecological realities facing society and enables them to apply sustainability knowledge at work, at home, and in the community.